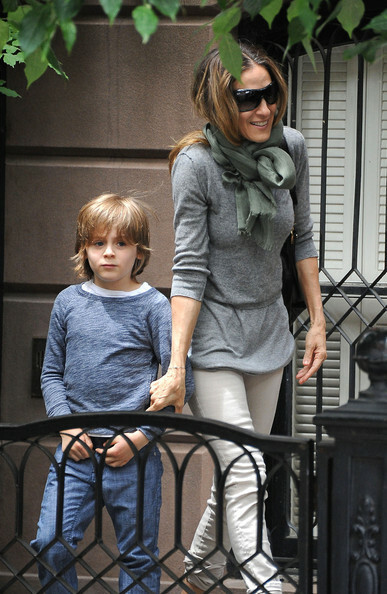 James Wilkie Broderick waits for his mom Sarah Jessica Parker before they leave their NYC home together. The "I Don't Know How She Does It" star was wearing rolled up khakis, a grey sweater and scarf wrapped around her neck. Sarah Jessica Parker bundled up in a muted green scarf on her way home with her son.